Star Force Alliance is no match for you, the Emperor's best pilot. 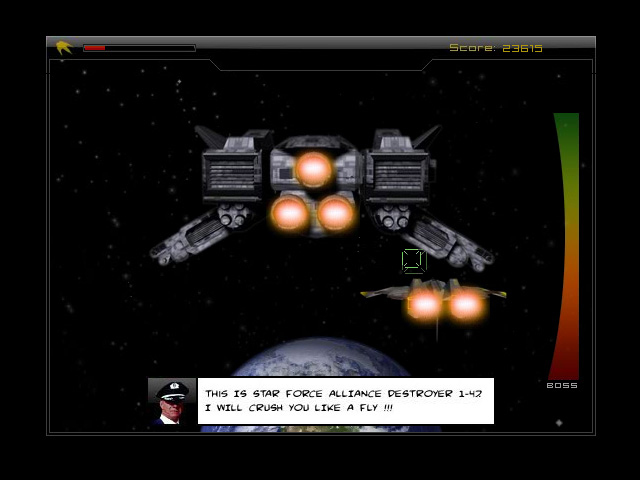 Navigate your ship on a perilous mission to destroy the Earth.Heed the call of the evil Emperor.Deep in the Dark Sector in the year 2073, the evil Emperor is plotting to destroy Earth. 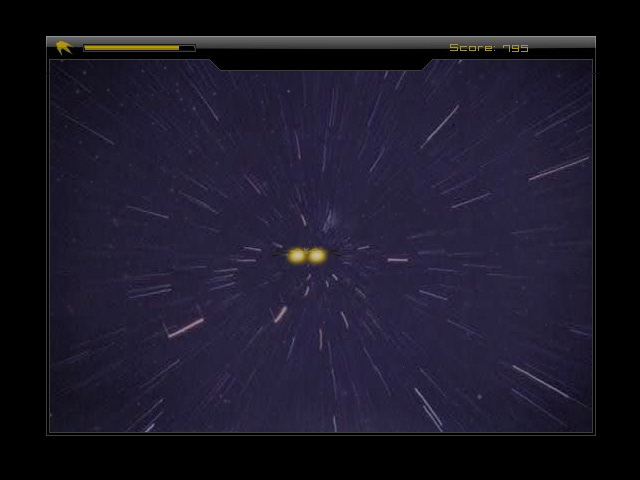 As his best pilot, you are chosen to navigate through perilous warp portals and asteroid belts to destroy the plucky Star Force Alliance and deliver the fatal blow. 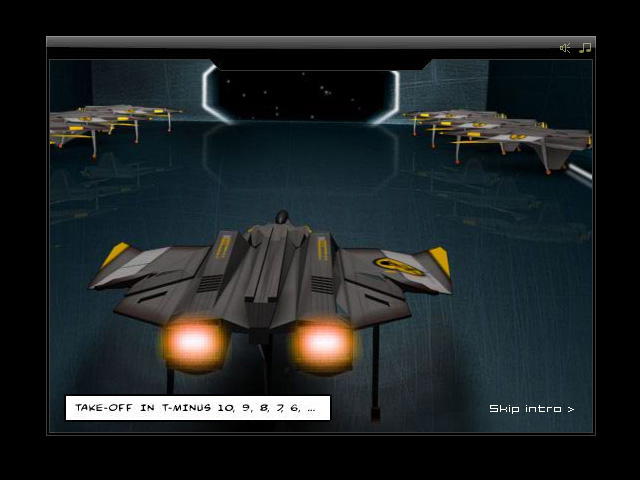 Use the mouse to guide your ship through the obstacles and enemies. Click to fire your lasers. Conquer 5 increasingly difficult levels. It's time to fulfill your destiny, Lone Wolf. 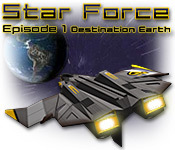 Destroy the enemy in Star Force: Destination Earth.